In yet another fit of inspiration so typical in my life, I decided despite the complete disaster of laundry sprawled about my apartment, the cleaning that needs to happen, the Christmas presents that remain unwrapped, hell, the nails that need to be repainted, that my new life project is going to be my teeth. I have fine teeth, routine dentist appointments, you know, but my sister went to the dentist and had cavities and for some reason I freaked out as if they were in my own mouth. I went to the store like a good little human and bought some new floss and some better mouthwash. 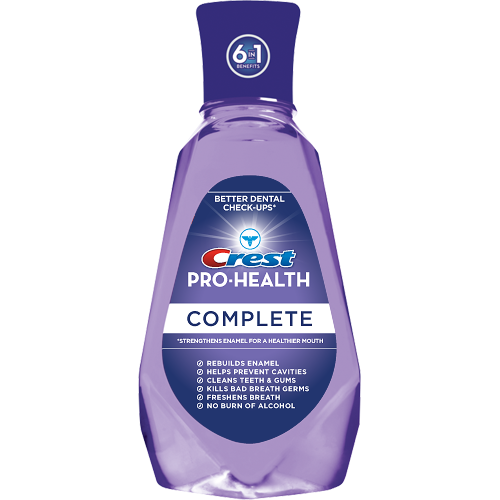 I didn't know they made Crest Pro-Health with FLUORIDE! And it's purple. It's like a Christmas miracle! Score. 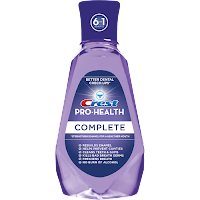 For the last several days I've been diligently mouthwashing away, what's another minute if it means no cavities or gingivitis, right? YESSS! It's Christmas, and Jesus loves fluoride! I'm free at last! But the day after I started using it, my tongue started to feel like I drank a scalding mug of coffee. Yeah, the end of my tongue feels like it's all burned. It looks normal. But it feels burned. And I didn't burn it on anything, believe me, I'd remember, and so would you, because I'm sure I'd be on here bitching and complaining about it. Nope, didn't burn it. So I took a walk outside to get some fresh air and stop myself from fainting, and it dawned on me that the only thing I really changed in my life was that I started using that fluoride. (And that I started listening to Christmas music but that couldn't burn my tongue... could it... hey wait could it? Stupid Amy Grant...) I came back inside, turned off my Christmas music, did another quick search and found other people online who had this exact reaction from that exact mouthwash, and then I asked two friends, and they also have had this reaction from fluoride in the past. And just as quickly as my illegitimate, ill-fated and ill-begotten love affair with dental care began, here it ends. Here I am, trying to be conscientious and plaque-free, and it blows up right in my face. 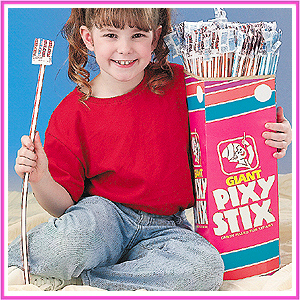 So I figure I might as well throw it all to the wind and go buy some pixy stix and a pack of Fruit Stripe gum. Goddamnit. I had the same thing when I decided to turn my back on what I thought was the overpriced brand name "Listerine". I stocked up on Wegmans half-priced counterpart (Orange flavor). Despite being an ingredient for ingredient clone of Listerine, Danny must have cut some corners in crafting this anti-bacterial brew, because my tongue was hurting for days. Had a similar experience with the generic brand All-purpose contact solution from Wegmans. Alec Baldwin fails to mention this in the commercials. I'm pretty sure I need at least three root canals, so kudos to you for taking that first step... ill-fated though it may have been.